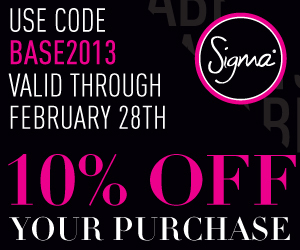 Use coupon code Code BASE2013 for 10% off your order at Sigma Beauty. Any purchase over $30 get's a free gift! 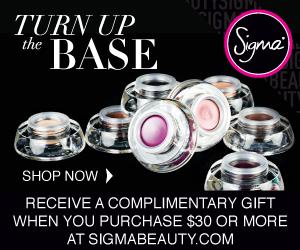 Visit Sigma Beauty now!!! Coupon code expires Feb 28th! !